Check out Tobi's Love Potion Heart Shape Earrings Wanna cast a spell? Feel the romance with the Gold Love Potion Heart Shaped Earrings. These statement earrings feature a simple ball stud, with the outline of a heart dangling underneath. Wear these heart earrings for date night, or tell your babes you love them on your next GNO. Wanna cast a spell? Feel the romance with the Gold Love Potion Heart Shaped Earrings. These statement earrings feature a simple ball stud, with the outline of a heart dangling underneath. 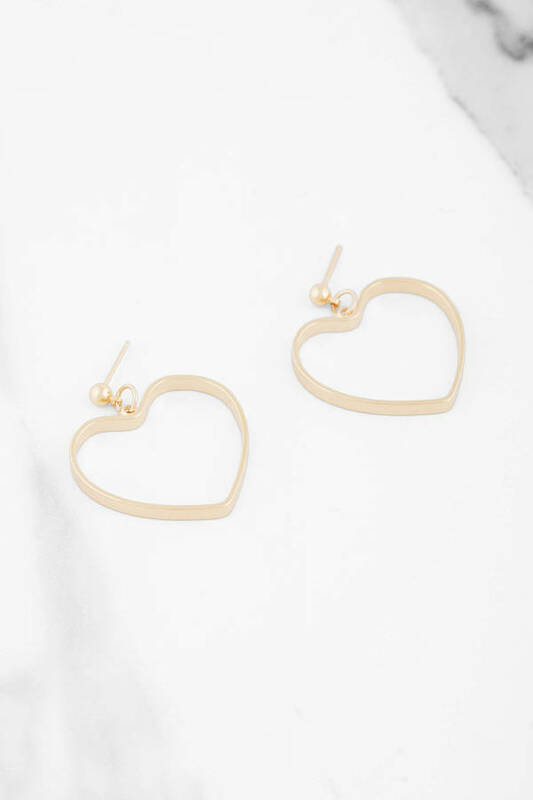 Wear these heart earrings for date night, or tell your babes you love them on your next GNO.